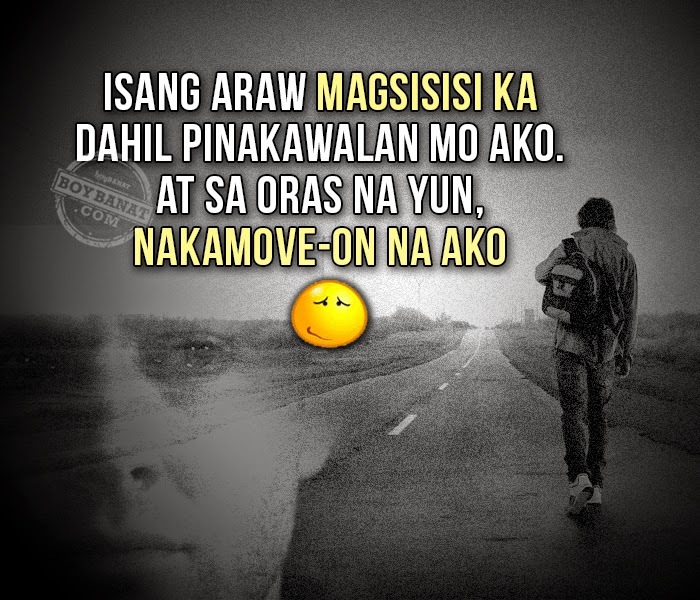 Pamatay na Banat ng mga Naka-Move On is a cool collection of banat lines all about moving on. No one ever said that moving on is going to be easy especially when the one who broke your heart is the person you love the most or the one you admire doesn't feel the same way. But there are ways to make it easier for you. Like thinking the other side of the relationship that you had or looking at another perspective why it didn't work for the two of you. Why not try adding some humor in the process and see how it works. Naka Move-on na ako,Tapos bigla kang magpaparamdam?! Pero SALAMAT HA! kasi kung di mo ako iniwan..
Isang araw magsisisi ka dahil pinakawalan mo ako. Pwes! gagawin kong mutual. Ayaw ko na rin sa'yo.